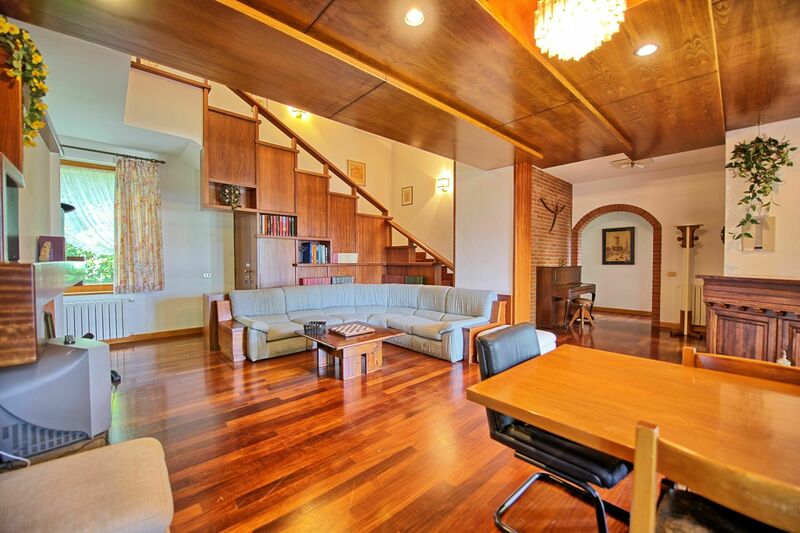 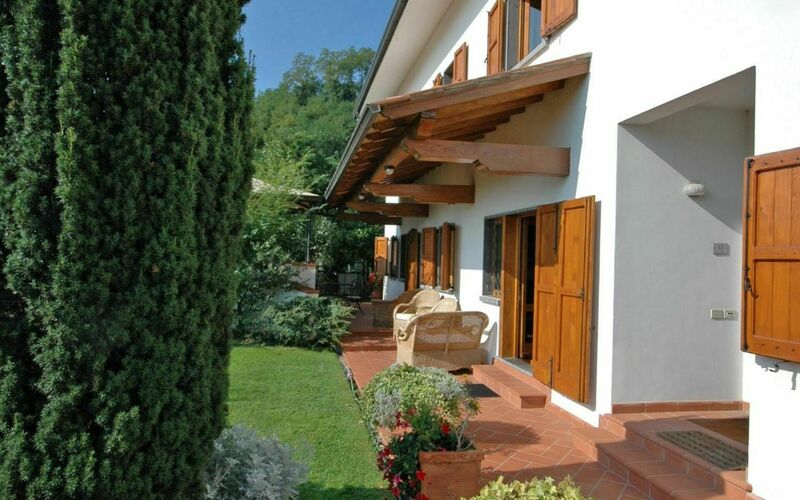 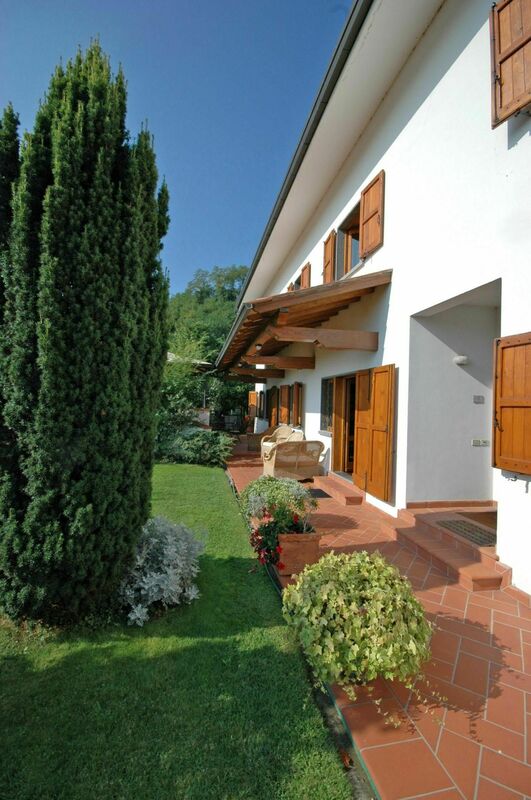 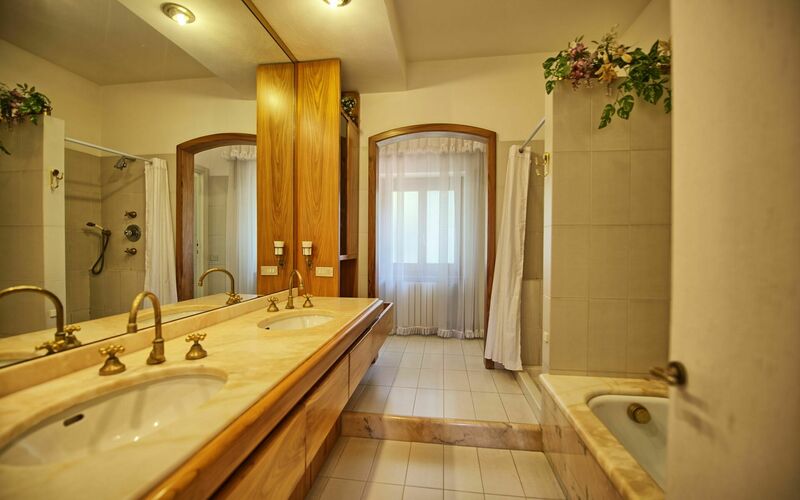 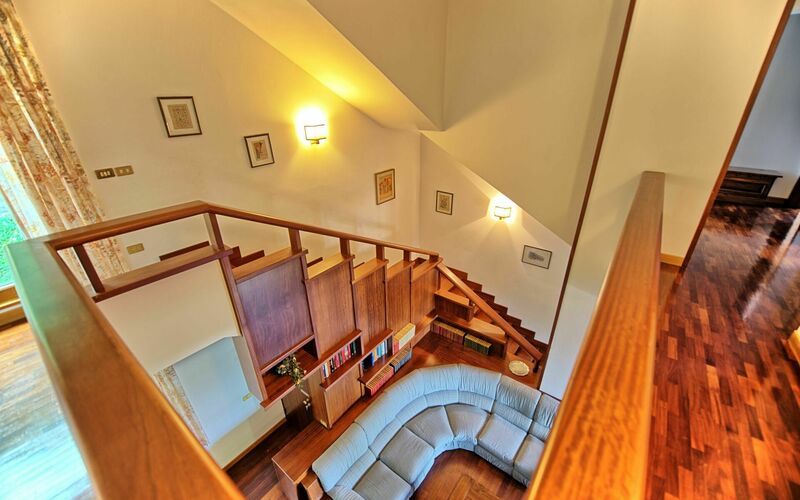 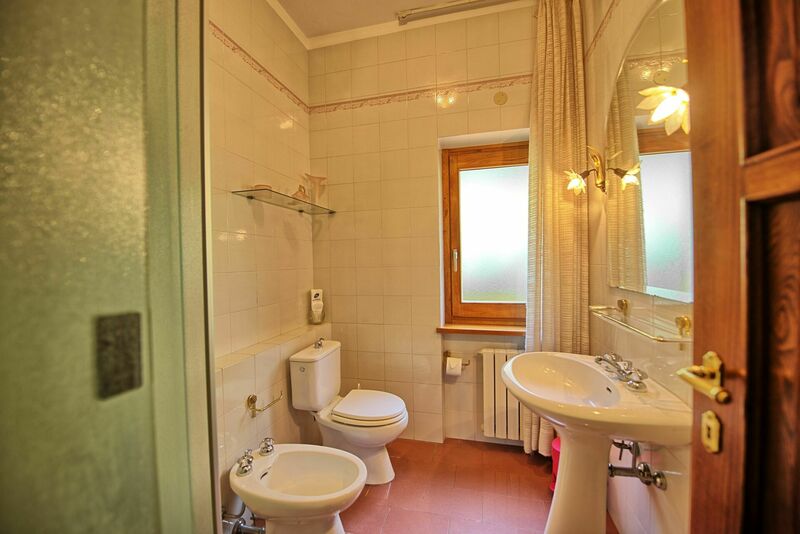 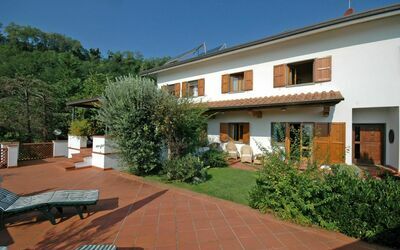 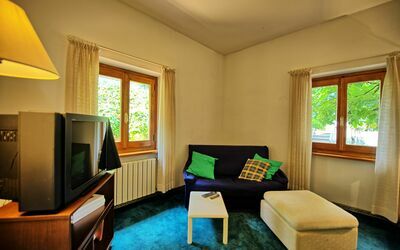 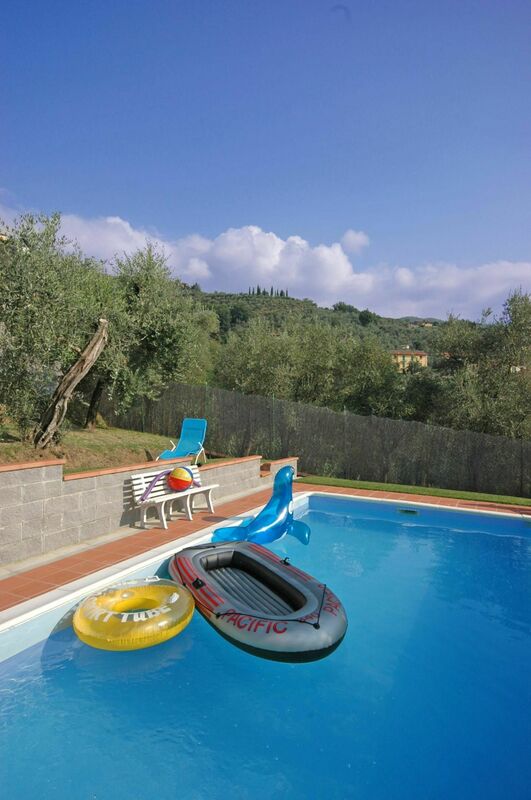 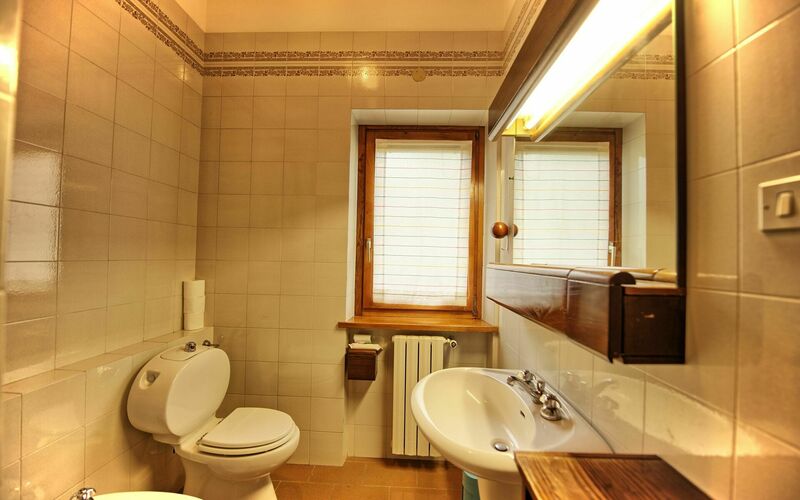 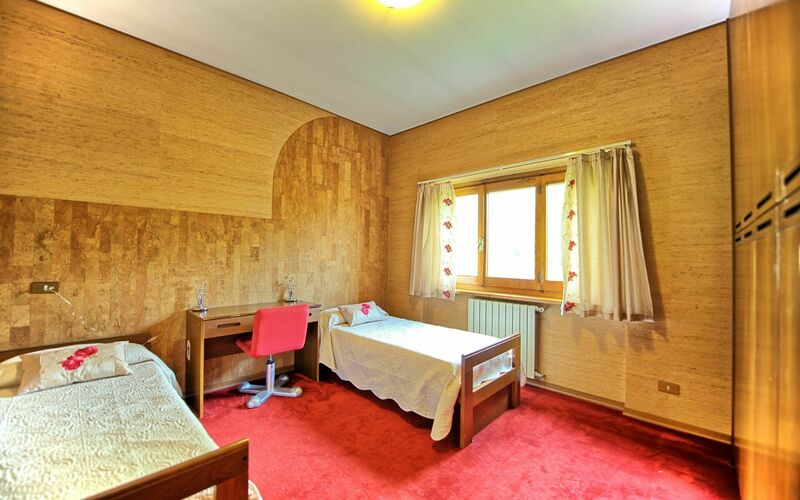 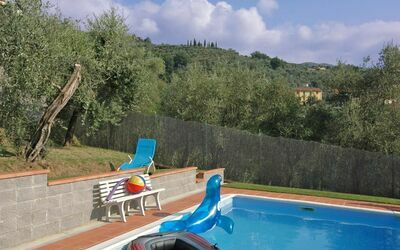 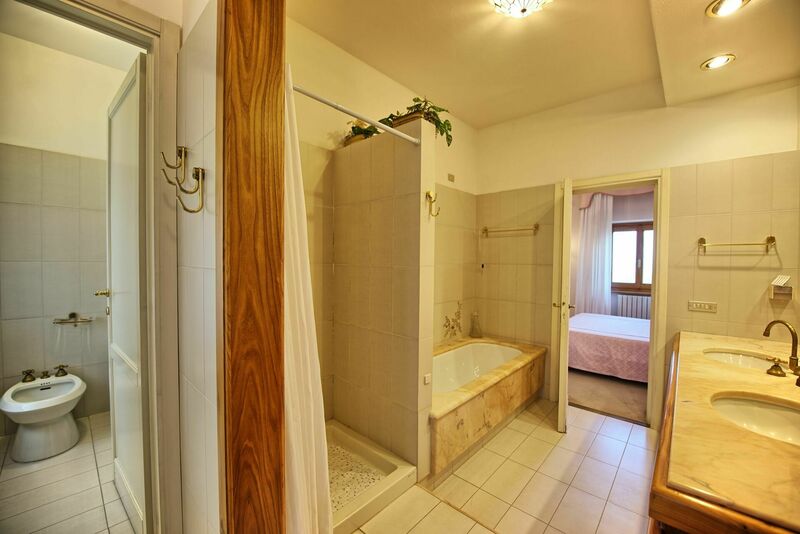 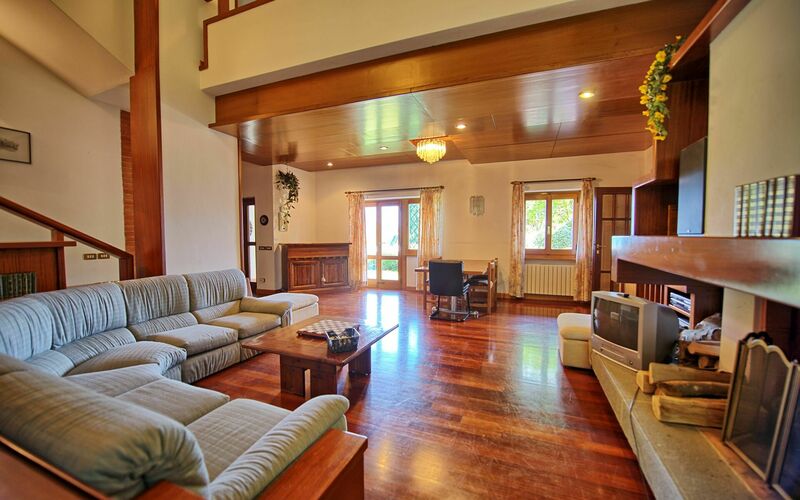 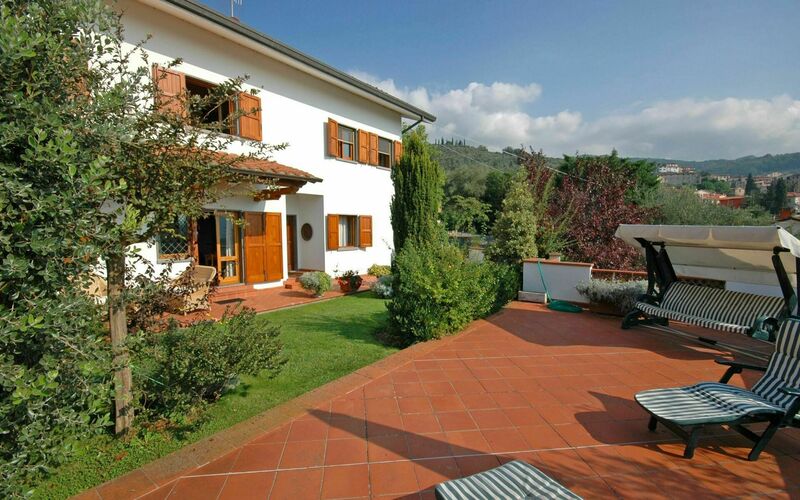 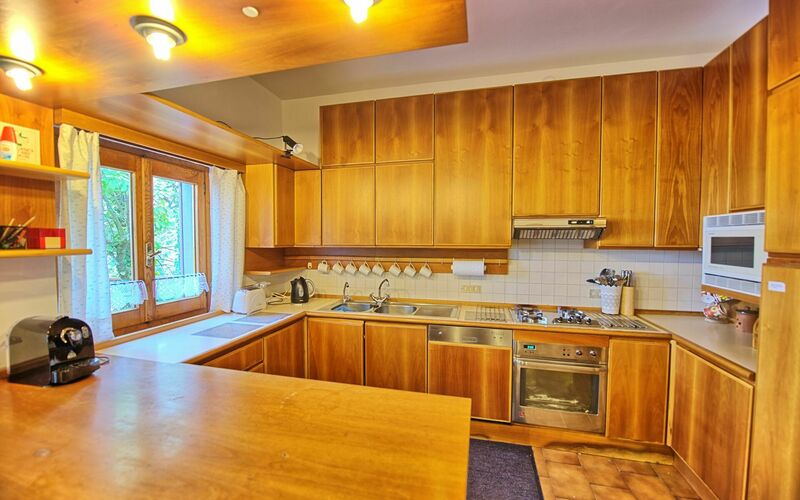 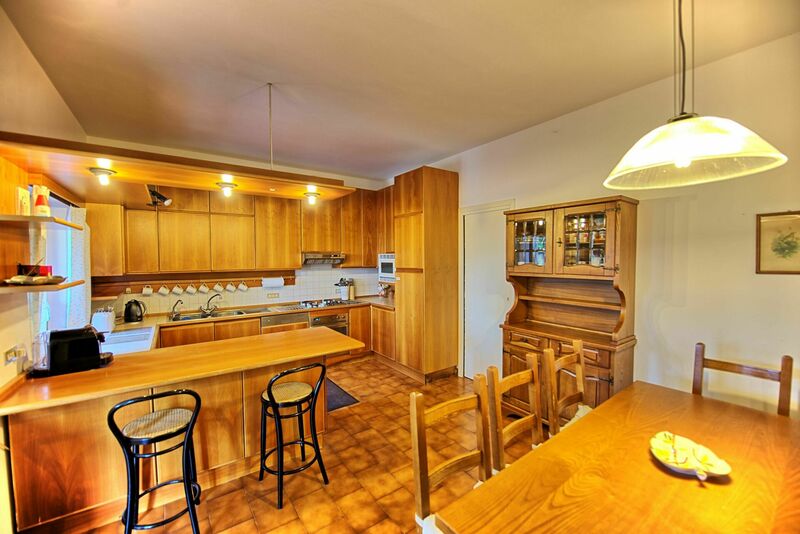 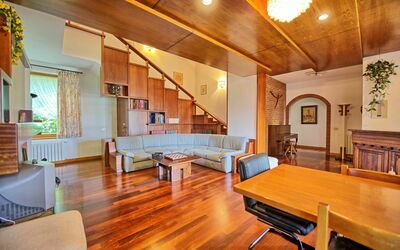 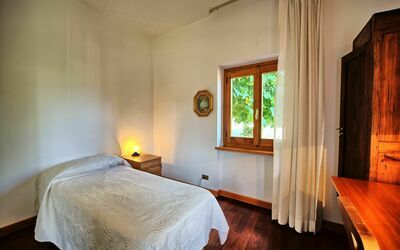 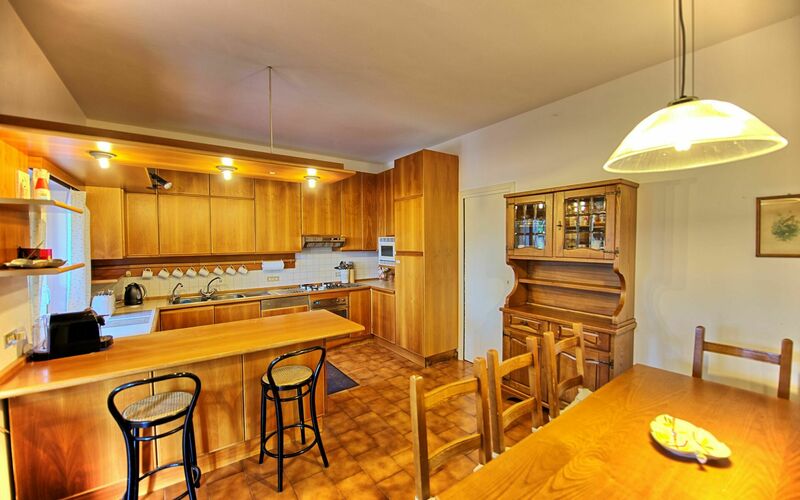 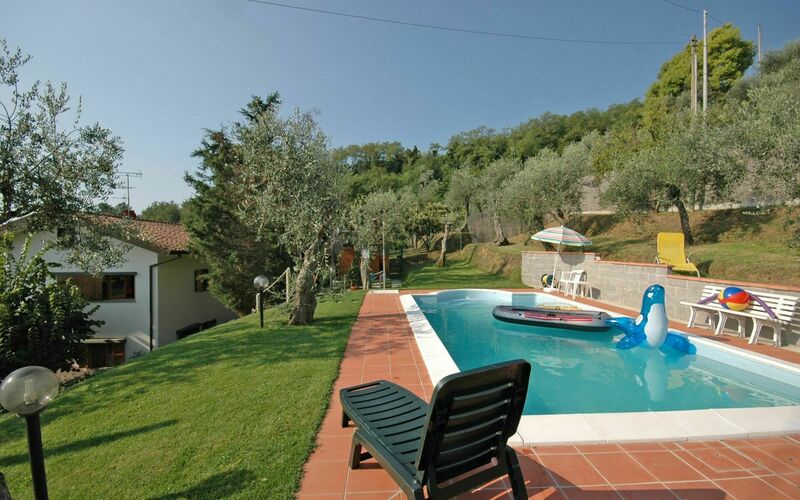 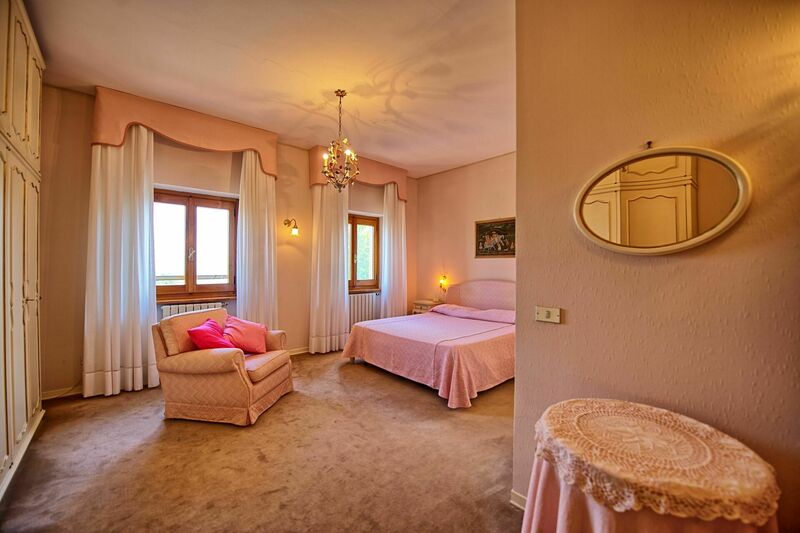 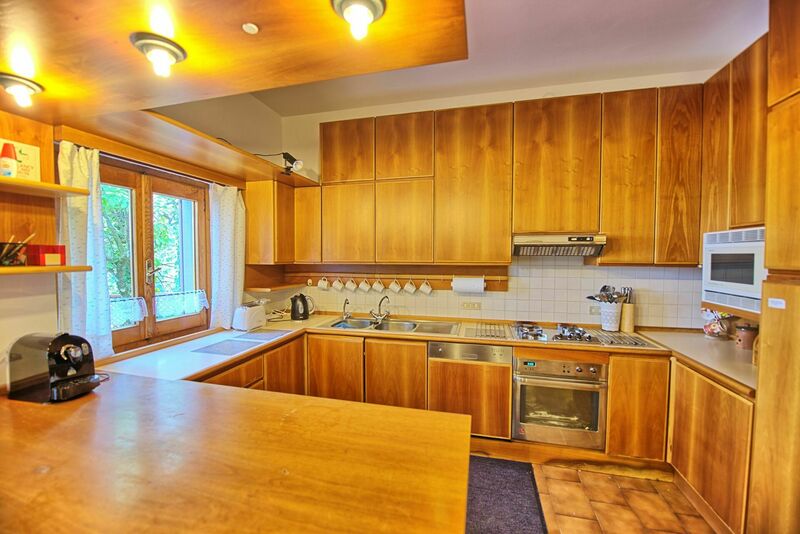 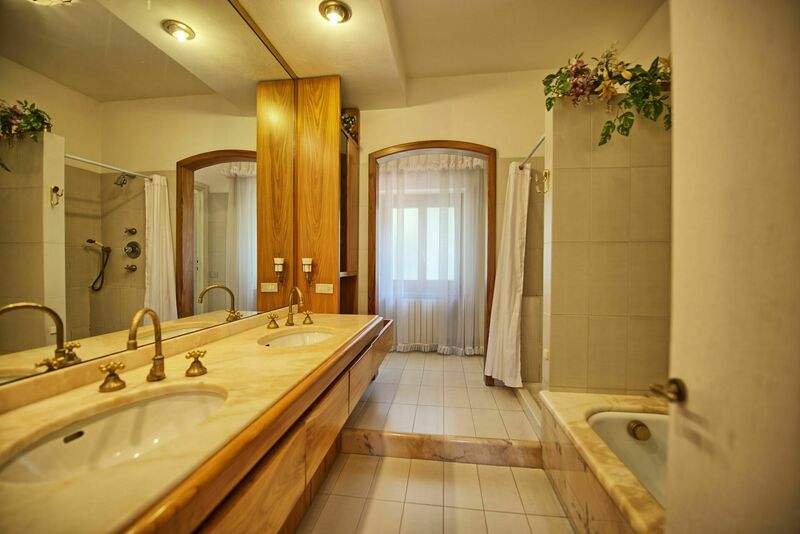 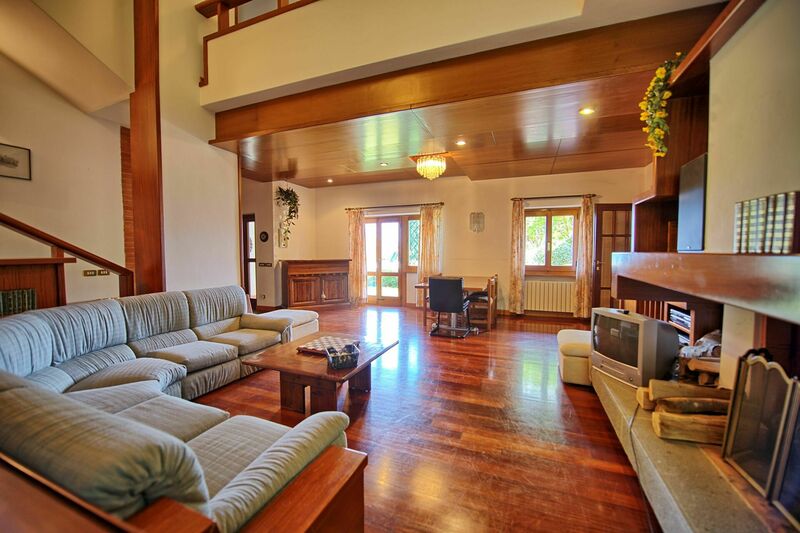 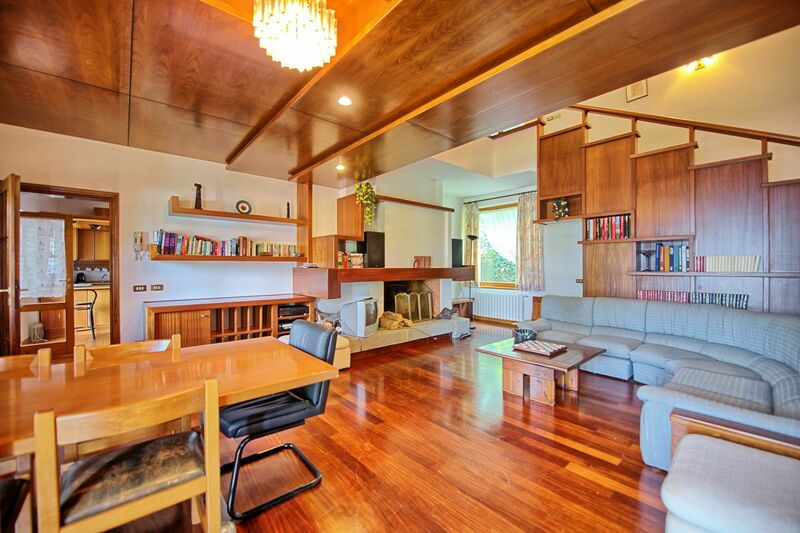 Independent villa situated on the Valdinievole hills, very close to the renowned town of Montecatini Terme (spa centre). 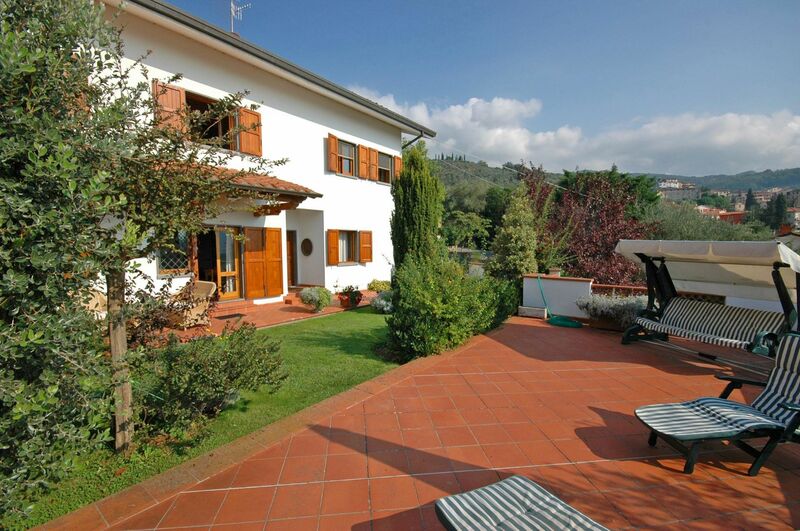 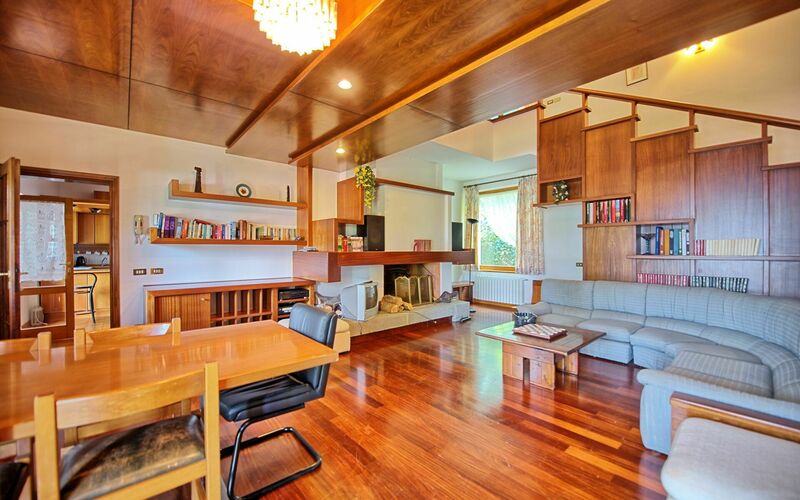 This house, enjoying nice panoramic views over the valley below, offers spacious and comfortable interiors as well as well-kept outside areas. The furnishing is rustic, in a typical Tuscan style. 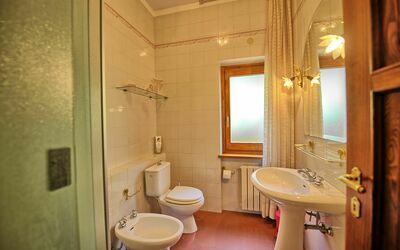 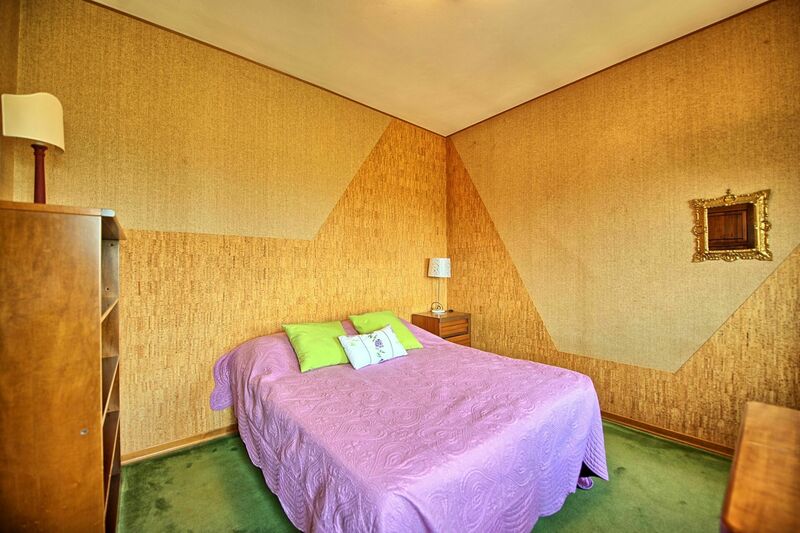 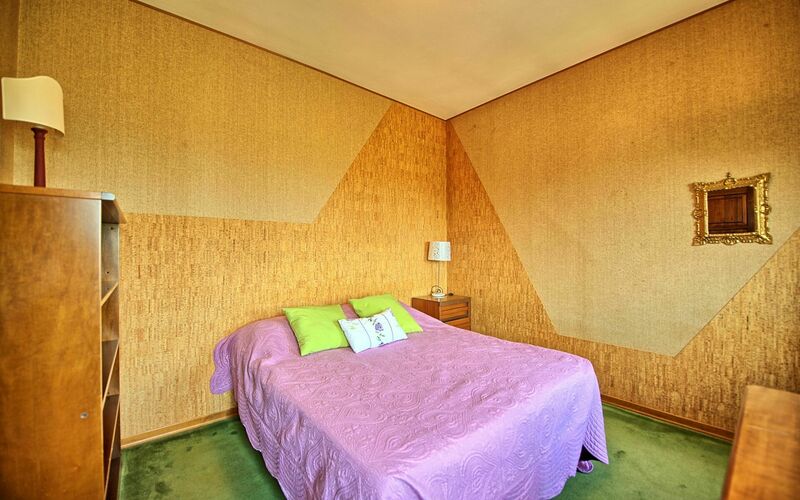 Two bedrooms on the first floor are equipped with fly screens. 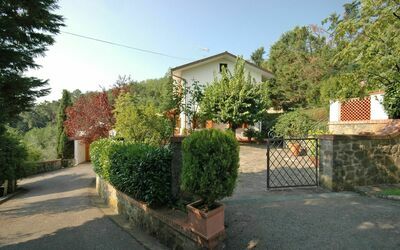 A road passes near the property. 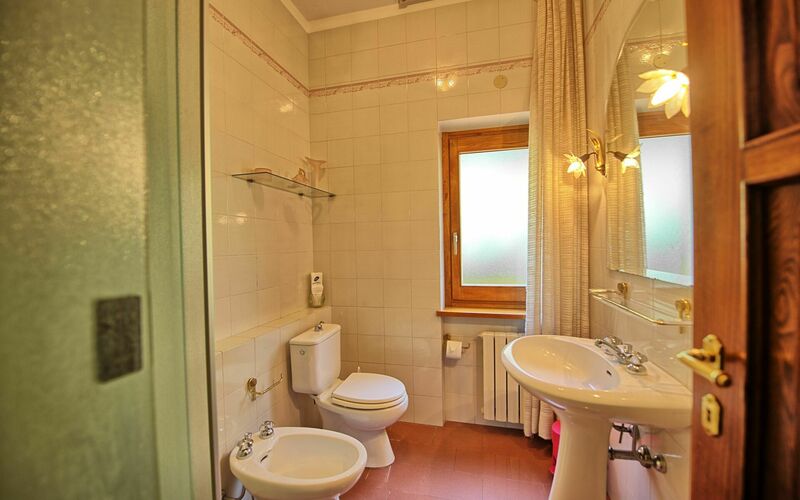 Distances: Massa with food shops 1 km away, Montecatini Terme with all kinds of shops, spas and golf course 6 km, the beautiful city of Lucca 35 km, Florence 50 km away. At guests’ disposal: large equipped garden, private swimming-pool (4 x 8,5 m – maximum depth 1,3 m – open from 01/05 to 30/09), stone-built barbecue, gazebo with chairs and table for outdoor meals. 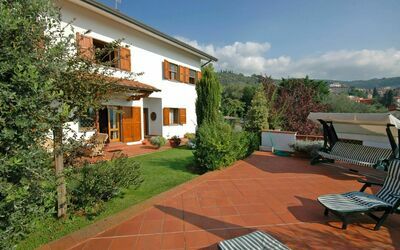 Parking available in the property. 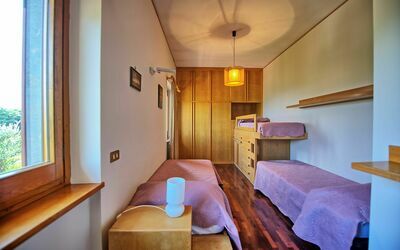 Extra services: Baby cot at € 35,-/ per week, to be paid on the spot. On request it is possible to add an extra bed at the cost of € 100,-/per week (to be paid locally). 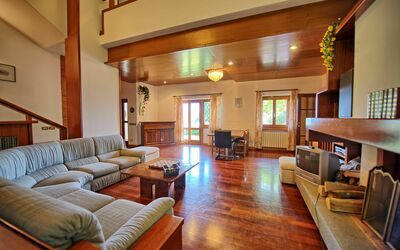 Ground floor: large living-room with fireplace, piano and hi-fi, kitchen (oven, freezer, dishwasher, microwave, toaster, orange squeezer, American coffee maker) with dining area and access to a covered and equipped terrace offering nice panoramic views, TV room, bedroom with a single bed, bathroom with shower, laundry room with washing-machine, dryer and ironing facilities. 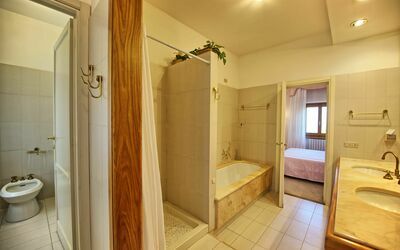 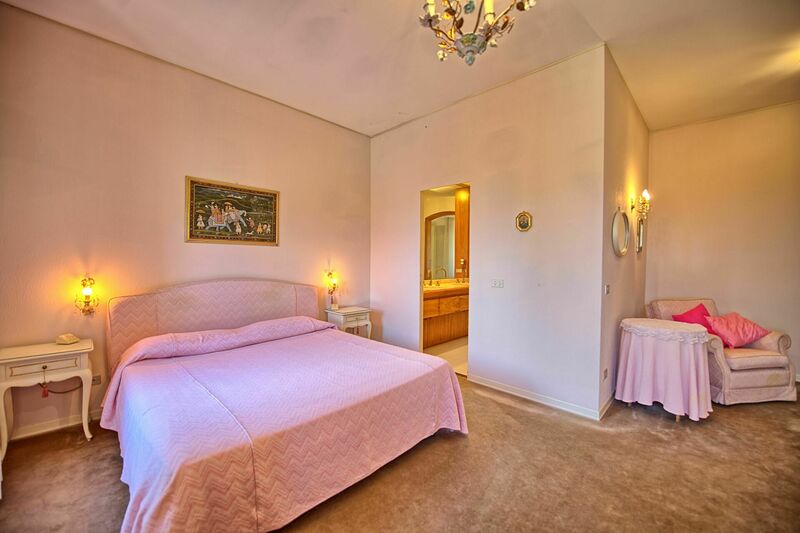 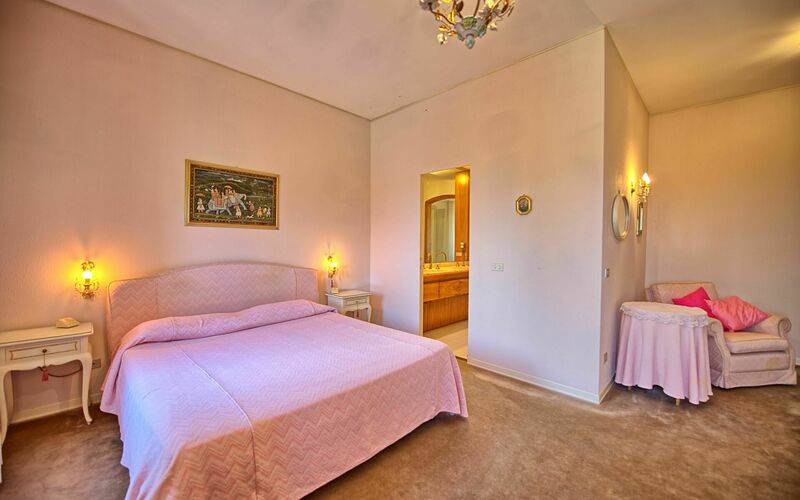 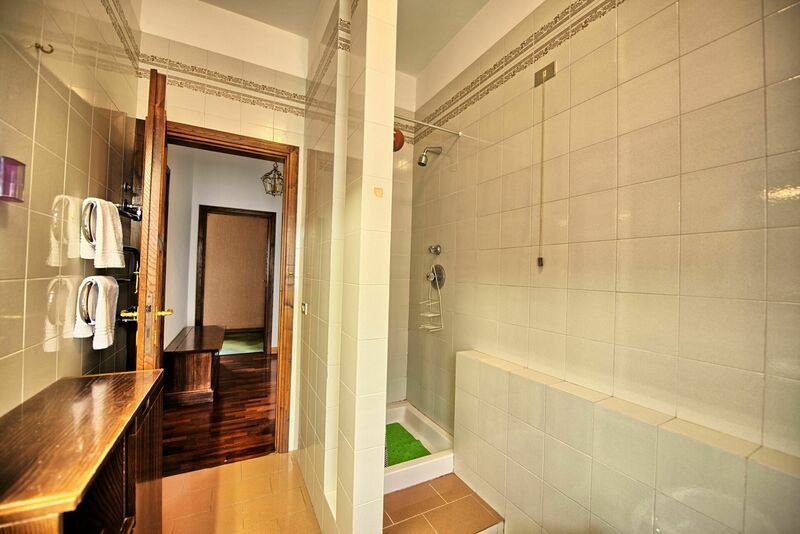 1st floor: spacious double bedroom with ensuite bathroom with shower and bathtub, 1 twin-bedded room, 1 double bedroom, bedroom with 3 single beds, bathroom with shower.